You are watching Coldfustion TV. Looking at the big picture of technology. Smartphones are so new and have grown so fast that much to the general public hasn't really taken note of what is going on around them. These are the top 5 mind-blowing facts about your smartphone. Let's dive in! NASA uses them as chief satellites. The smartphone industry has pushed the boundaries of low-cost, high-performance solutions. So far, that the average smartphone has more computing power and memory than the average satellite. In addition to this, smartphones already have a GPS, multiple accelerometers, motion sensor, radio saver and more for well under thousand dollars. NASA noticed the unique anomaly in modern technology. And in 2009, they created project Phonesat. This project is an on-going experiment that uses a smartphone as a satellite on-board computer. There have been multiple versions to launch as new phones are released, the orbital lifespan is said to be one year. It's pretty cool. 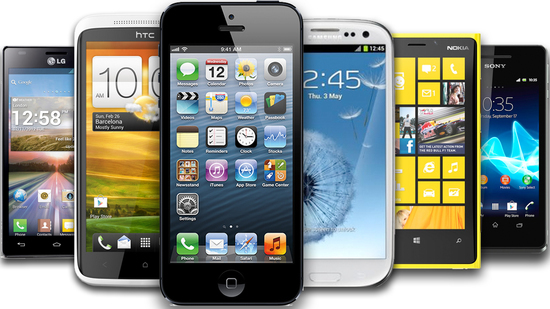 Smartphones are the fastest growing industry in history. And today, the industry is worth over 300 billion dollars. To really understand just how big that is, we have to compare it to the next closest thing humanity has seen, the PC market. Compare to the PC market, the smartphone industry has been growing at a rate of four times the maximum rate of PC growth. In January 2014, for the first time in history, mobile phone Internet usage overtook PC Internet usage. That's not all, In the period between 1975 and June 2008, one billion PCs were sold, this included desktops, laptops, servers and everything combined. In comparison, smartphone sales topped 1 billion in just 2013 alone. The sales have been so rapid that even on YouTube, some smartphone reviewers have been made celebrities in their own right. Smartphones are only getting more popular with low-cost, high-performance options such as the Nexus 5 and Sony Xperia Z compact. And in addition to this, so-called developing nations are absolutely loving smartphones. India has the fastest growing smartphone market in the world. It's all pretty interesting stuff and it's really only just been taking off in the last year or so. Smartphones are actually slowly changing the world. In 2014, mobile traffic is almost 15% of the continent of Africa's studies. In Egypt, 70% of people say they don't even touch desktop or laptops to access the web, they only use mobile. In May 2012, a study from the University of Colorado found that the average person belonging to Generation Y has the phone with them 91% of the day. And they're very likely would use their phones to meet up with each other, settle arguments or solve unexpected problems. Generation Y and Z, basically my generation, has grown up with the Internet and the smartphone was basically the next logical step. Some says that is making this generation less social, but that's really up to the individual. In addition to this, smartphones have made colossal dens in the sales of point and shoot cameras, camcorders, newspapers, print media in general, netbooks, prodigal gaming systems, mp3 players and basically most things you can think of. Now, of course, the smartphone would have been able to do this by itself. It is the smartphone plus the collective knowledge of everyone through the Internet that has caused this shift. To really see how integral the Internet has become in modern society today, here is an interesting bit of inside. The following clip is from a 2013 BBC documentary that takes a rare look into the university life of North Koreans. I found the following extract to be very interesting. American lecturer, Aaron , invites me to talk to her students. "who can say M.J. so put your hands up, you know who that is?" Is he your President? - No, he is not a president. Michael Jackson, he was a very famous singer. Normally, if you didn't know who someone was, you could just google or search it up. Without the Internet, this is not an option. Your smartphone is more powerful than you think. This one will blow your mind! For this fact, we have to go back on a journey through time and space, like we often do on this channel. So the year 1946 and on this year, the first ever, general-purpose fully electronic computer was created. Its name was Eniac. The Eniac computer took up an entire room and required colossal amounts of energy, just to complete 385 calculations per second. Fast forward to last year, so 2013 and the Snapdragon 800 chip that is not uncommon in most smartphones, can do 28 billion calculations per second. In other words, it would take 72 million Eniac computers just to make up of the power of one smartphone chip. Let's push this fact a little bit further. That's over 2 billion tons of Eniac computer components and you don't even want to guess how much space this will take up. Or practicality aside, if you could place all the Eniac computers back to back and as close as you couldn't possibly get them, all the components together would take up a landmass of how big? Maybe you'd guess a football stadium, or maybe a small city. Not even close. To have the equipment power of one smartphone chip, it would take 11.8 million square kilometers of Eniac computer components. That's 20% larger than the entire area of the United States of America. And all that now can fit when you thinking now. It's definitely something to think about. By definition, your smartphone is a PC. PC is the acronym for personal computer. And a smartphone has come a long way even since 2010. Here...Let me show you. This is a stock smartphone running Android. You can plug it into a monitor with a keyboard and mouse and you can actually do some work with it. Hypothetically, if your desktop computer was inaccessible for one reason or another, maybe was breaking or in repair. You can use your phone to get some actual productivity tasks done comfortably. And that's not all. Nowadays, if you have an Android phone, you can stick USB stick in there and even some hardware things such as fans work. And with that, that round up the top 5 mind blowing facts about your smartphone. So I understand that this was a whole lot of mind blow to take in just for one video so let's tour a little bit of a recap. NASA has used smartphones as like co-satellites. The smartphone industry is the fastest growing industry in history. Today smartphones are over 70 million times faster than the first electronic computer. Not to mention that it would take an area 20% larger than the entire USA to have that equivalent power. And lastly, today smartphone can be used as a PC. Watch the video and complete the sentences below using NO MORE THAN TWO WORDS AND/OR A NUMBER. 1. NASA uses smartphones as for low-cost, high-performance solutions. 2. A project called Phonesat used a smartphone as a satellite on-board computer in . 3. Smartphone industry is worth more than dollars these days. 4. The mobile phone Internet usage overtook PC Internet usage for the first time in history in . 5. has the fastest growing smartphone market in the world. 6. 70% of people in use only mobile instead of laptops or PCs. 7. The students think that Michael Jackson is a president. 8. When was the first ever, general-purpose fully electronic computer was created? 9. How many Eniac computers are needed to have the power of one smartphone chip? 10. How much space are needed to store Eniac computer components to have the power of one smartphone chip?